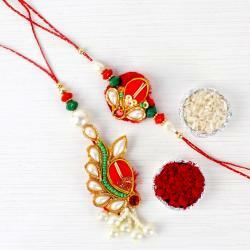 Convey your love on this Raksha Bandhan to your beloved bhaiya bhabhi with this eye catching exclusive bhaiya bhabhi rakhi hamper.It has a set of two beautiful rakhis; one meant for your brother and the other for your Bhabhi. 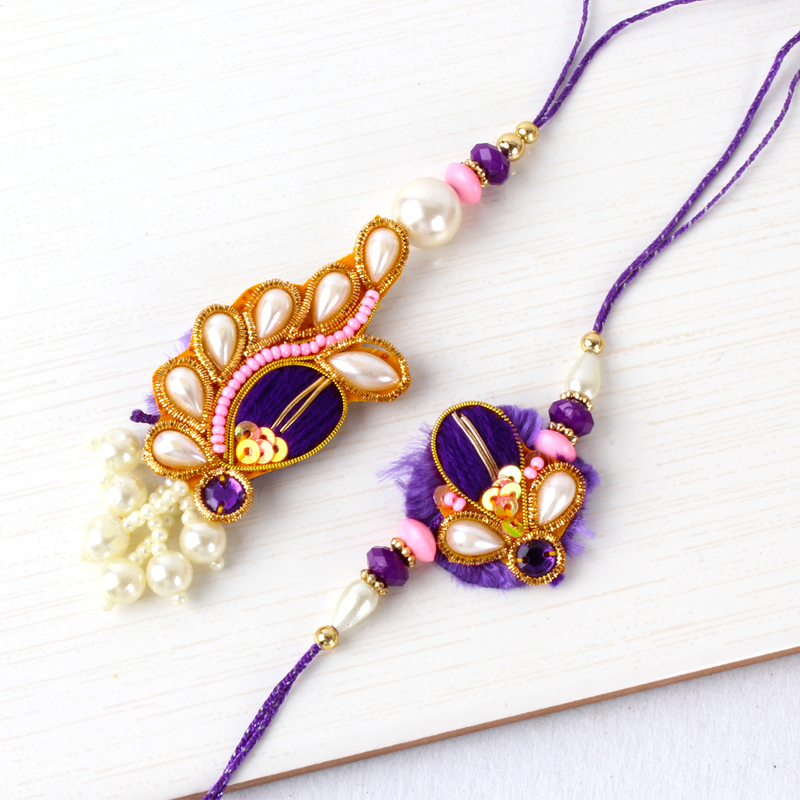 Both the rachis Rakhi is made out of woolen Thread zari Work is attractively designer and crafted with high quality threads to soothe their wrists. 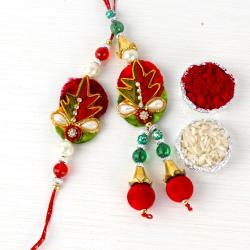 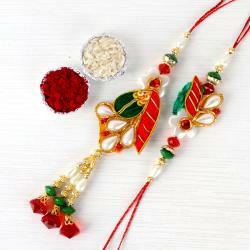 The rakhi for Bhabhi is a catchy designer lumba rakhi which she will love to wear on her wrist. 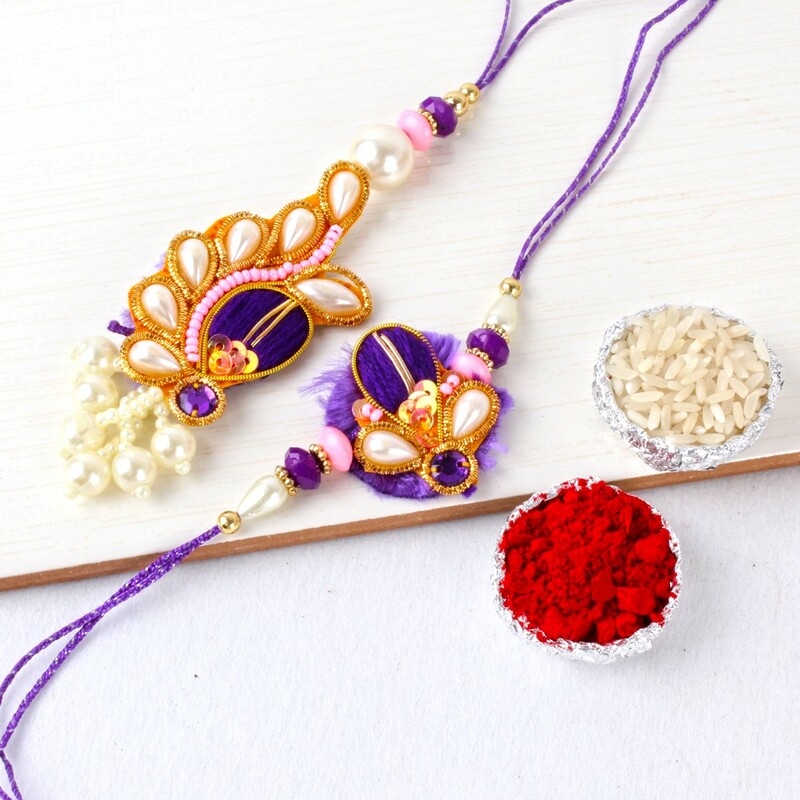 Product includes: Stylish Bhaiya Bhabhi Lumba Rakhi is made out of woolen thread and zari work with drop shape beads and colorful beads in Latkans along with Packet of roli chawal.